The Merseyside Safeguarding Adults Board completes the majority of its work through multi-agency committees who each contribute to completion of the Board’s priorities. The sub groups provide partner agencies with the opportunities to review practice – identify and share good practice and identify and imporve areas of weaker practice, to highlight safeguarding arrangments, test progress against priorities and challenge each other to collectively improve arrangements to safeguard adults at risk. I’m the Head of Quality and Chief Nurse for NHS Liverpool CCG and have a special interest in children and adult safeguarding. I originally trained as a nurse at The Royal Liverpool Hospital working in the accident and emergency department and then orthopaedics, before training as a midwife. I became a specialist midwife in 1992 and worked in health visiting in Liverpool visiting families in a number of challenging areas. In 1999 I became a practice mentor in health visiting, supporting the training of student health visitors and working closely with the universities to support curriculum development and the provision of appropriate student placements. It was while working as a health visitor that I came into contact with families with safeguarding and child protection needs which generated my interest in safeguarding. I’ve worked in a number of commissioning roles including lead commissioner for children’s and maternity services and in November 2012 I became Chief Nurse at NHS Liverpool CCG. I am passionate about improving services and care for patients. I try and use the barometer of ‘my family’ – what if it was my mum or dad or brother who needed or was using our services? I am proud to be a nurse working in the NHS and in Liverpool and I support the values of the NHS. The primary purpose of the Quality Assurance sub group is to work alongside the Performance Management sub group to monitor and evaluate the effectiveness of what is done by the participating Local Authorities and Merseyside SAB partners. This will be done both individually and collectively and be reported to the Board, who can then in turn agree appropriate strategies and actions on ways to improve. To review progress of agreed actions to recognise, report, respond to and reduce risk of abuse. To ensure a personalised approach is embedded in adult safeguarding. To review monitoring information with the support of the Performance Management sub group and make recommendations for action to the KLSW SAB. To work with other sub groups as appropriate to develop and disseminate learning through training, policies, procedures, guidance etc. To lead the development, implementation and evaluation of a multi-agency strategy aimed at increasing the awareness of safeguarding adults and promoting the involvement of adults at risk, carers and advocates in the Knowsley, Liverpool, Sefton and Wirral areas within the Merseyside Safeguarding Adults Board (MSAB) processes. To develop multi-agency communication and engagement strategies focused on increasing universal awareness of adult safeguarding issues, and the inclusion of adults at risk, carers and advocates in MSAB processes. To organise, support and participate in regional and national campaigns as appropriate, to increase and improve awareness of adult safeguarding issues. To evaluate the effectiveness of the multi-agency communication and engagement strategies. To utilise existing communication and engagement strategies of partner agencies to increase awareness of and involvement in safeguarding. To review the current arrangements and practices in relation to the participation and involvement of adults at risk, both with mental capacity, and those without mental capacity, in developing, implementing and reviewing MSAB processes. To develop best practice in the use of advocacy services and user participation in adult safeguarding systems and to implement them across the Merseyside(MSAB) area. To develop mechanisms and approaches to actively seek feedback from adults at risk who have experienced harm or abuse and ensure that such feedback informs practice. To review and develop information and materials available using appropriate media, to adults at risk: carers; advocates; professionals and the public, particularly those likely to be involved in safeguarding adults processes. To make suitable application to the MSAB, in liaison with the MSAB Business Unit, for appropriate budget allocation to support sub group project work. To develop a media strategy along with partner agencies, that will identify opportunities to promote positive work to safeguard individuals and to anticipate a response to potentially adverse incidents or reports. To support and facilitate any training required to achieve the above, for example: media training for the chair and vice chair. The Policy, Practice and Procedures Committee have responsibility for providing staff with safeguarding procedures and guidance in line with national and local requirements. 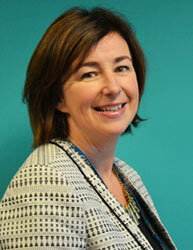 Lorna commenced her NHS career 28 years ago whilst training as a Nurse at Walton and Fazakerley Hospitals. 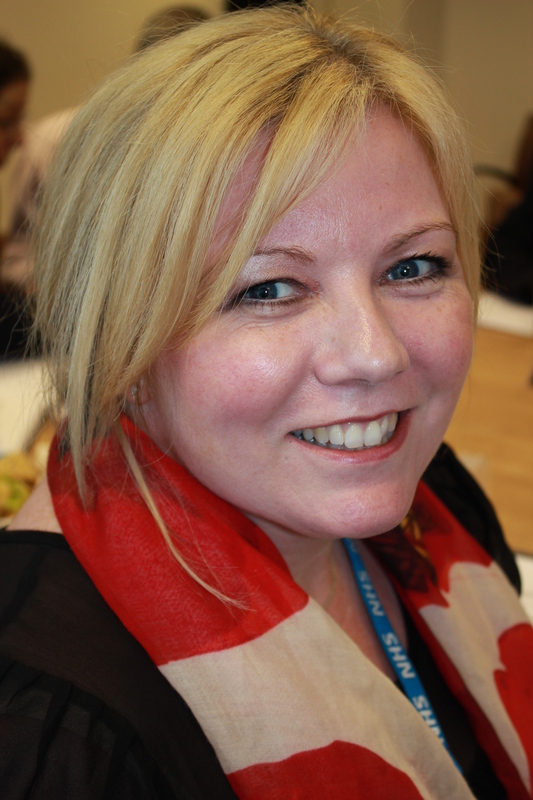 Lorna then went on to various other roles within the voluntary sector and NHS within general management, acute hospital trusts, primary care trust and now NHS Wirral Clinical Commissioning Group. Lorna’s previous roles have included Assistant Director of Service Development, Lead Nurse and other performance related roles. Lorna’s current role at the CCG is Director of Quality & Patient Safety and this involves monitoring the quality of services that are commissioned by the CCG against agreed standards, responsibility as Executive Lead for Safeguarding Children and Vulnerable Adults and is also the lead for infection, prevention and control. The Knowsley workforce development strategy is well structured and based soundly on the National Capability Framework, which should form the basis of a Merseyside plan. Training evaluation should be used to assess the impact on improving practice. There should be a clear link between the learning from SARs on a national basis and training development. Training should include the understanding of relevant Multi-Agency forums, e.g. MAPPA, MARAC etc. The Merseyside Safeguarding Adults Board (Merseyside SAB) has appointed the Safeguarding Adults Review Group (SARG) as a Sub-group of the Board to oversee the arrangements for Safeguarding Adults Reviews. The SARG is responsible for recommending the commissioning of Safeguarding Adults Reviews, managing the process and assuring the Merseyside SAB that recommendations and actions have been addressed by the multi-agency partnership and individual agencies. When a case is referred for consideration there will usually be an initial scoping exercise which will require agencies to provide an overview of their involvement. Some agencies may have been involved with the person for many years and the whole history will not be necessary. The SARG will therefore agree a timescale for the period under review and this will be circulated with the request for information. The SARG will be responsible for appointing a Chair of the Panel and ensure that they receive adequate support. Recognising the conduct of SARs as a specialist activity does not necessarily mean that the SARG has to rely on external consultants. The Care Act Guidance requires SARs be led by individuals who are independent of the case under review and of those organisations whose actions are being reviewed. Relevant expertise should be sought from among salaried professionals in the local safeguarding network, where possible. The Merseyside SAB should ensure that there is appropriate involvement in the review process of professionals and organisations who were directly involved with the adult. The Panel should also communicate with the adult and, or, their family or representative. In some cases it may be helpful to communicate with the person who caused the abuse or neglect. The Chair will be responsible for ensuring that all members complete the actions required within timescale and that the review process is conducted according to the Terms of Reference. Were there any errors or problematic practice and/or what could have been done differently? Why did those errors or problematic practice occur and/or why were things not done differently? Which of those explanations are unique to this case and context, and what can be extrapolated for future cases so become findings? What remedial action needs to be taken in relation to the findings to help prevent similar harm in future cases?